Carousel Windows is a family business comprising of three installation teams and three fabricators plus four sales and office staff. We have built up a successful business over the years from opening in 1991 and are now at a comfortable level - Large enough to cope & small enough to care. 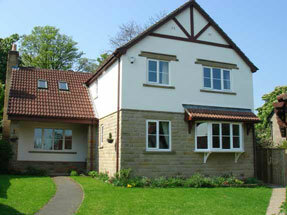 We've been providing double glazed windows in Leeds since we started our business twenty years ago. We manufacture a wide range of uPVC windows suitable for a variety of uses including refurbishment, renovation work and new build. Ask around and speak to some of our clients - we supply and install the very best uPVC windows and can guarantee that you'll enjoy the same professional and courteous treatment that all of Carousel Windows Double Glazed Windows Leeds customers have enjoyed since 1991. Carousel Windows Leeds operate from a 4,000 square foot factory and office complex, providing made to measure double glazed windows for families across Leeds. We're a family run business ourselves, and we understand the importance of security for your family. That's why we've been very busy making sure that all the latest security functions are available on the windows we supply our customers. So not only are our uPVC double glazed windows incredibly efficient, they're also highly secure. By far the most popular British window style. And now, one of the most secure! It's a priority for us to ensure that all of our casement windows are glazed internally so that intruders aren't able to gain access to your property. In addition to this, every frame is made from 70mm uPVC that is high impact resistant meaning that every casement window we supply is very secure. An ideal choice for replacing traditional wooden box sash windows enabling you to retain the appearance of original box sash window with the benefits of a maintenance-free, draft proof product. These are particularly suitable for older properties around Leeds as they maintain the original look of the house, whilst giving fantastic double glazed window protection against heat loss and potential intruders! Offering a continental appearance whilst tilting inwards from the bottom of the window to give an opening at the top and sides. The tilt & turn window also offers the easy cleaning facility of being inward opening, allowing both sides of the glass to be cleaned from inside your property. Why not pick up the phone and contact Carousel Windows Double Glazed Windows Leeds direct on 01274 522817 - you'll be glad you did.